Terminus independent specific fusion of two or more peptides is a major challenge in synthetic biology and beyond. Inspired by the highly specific condensation reaction of D‑luciferin from the firefly Photinus pyralis, we came up with a sophisticated solution, combining organic chemistry, computational modelling, and molecular biology. Based on our own design, we synthesized the novel synthetic amino acid Nγ‑cyanobenzothiazolyl‑L‑asparagine‑(CBT‑asparagine). The cyano group of CBT‑asparagine undergoes a condensation reaction with the 1,2‑aminothiol group of Nε‑L‑cysteinyl‑L‑lysine (CL). 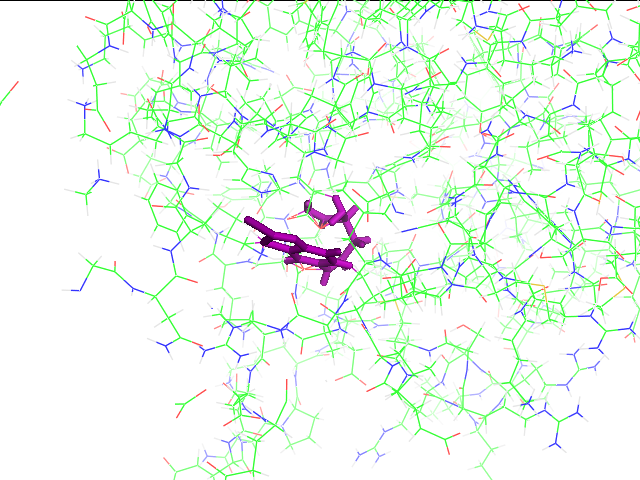 Through in silico simulation, we predicted different aminoacyl tRNA synthetase sequences to incorporate CBT‑asparagine into proteins of interest. This system offers a new way for the production of fusion proteins and polymerized polypeptides. During our search for interesting non‑canonical amino acids which we could use for our project, we found CL. It was first synthesized and described by Nguyen et al. (2011). It is proposed that CL enables the highly specific binding between peptides and ligands containing a cyanobenzothiazole residue. CL itself consists of L‑cysteine coupled by its carboxy group to the amino group of the side chain of L‑lysine. As a result, it contains a free 1,2‑aminothiol group at its side chain. According to the highly specific condensation reaction of 1,2‑aminothiols and cyanobenzothiazole‑derivatives (CBT-derivatives), which is common for the biosynthesis of D‑Luciferin (see Figure 1), the substrate of the firefly luciferase of P. pyralis, CL can undergo the same condensation reaction with CBT‑derivatives (see Figure 2). Figure 1: Synthesis of D‑Luciferin. The 1,2‑aminothiol group of D‑cysteine and the 6‑hydroxybenzothiazole‑2‑carbonitrile undergo the condensation reaction under physiological conditions to build D‑luciferin (Liang et al., 2010). Figure 2: The condensation reaction of CL and a CBT‑derivative. The 1,2‑aminothiol group of the side chain of CL and the cyano group of the CBT‑derivative undergo the same condensation reaction under physiological conditions like D‑cysteine and 6‑hydroxybenzothiazole‑2‑carbonitrile. So far, CL was used to label proteins with CBT‑derivatives bound to fluorescent chemicals and proteins. Inspired by the rapid and highly specific condensation reaction which takes place under physiological conditions, we thought about a possibility to synthesize a novel amino acid which enables the highly specific binding between peptides using CBT as a side chain and CL as the counterpart. To synthesize a novel amino acid, we needed the right reagents for the reaction. First, it was important to find a CBT‑derivative which could be coupled to the side chain of a canonical amino acid. To use common methods of peptide synthesis, we needed two educts one containing a free carboxy group and one containing a free amino group. There are different canonical amino acids containing one of these two groups at their side chains. All canonical eligible amino acids with a free amino group at their side chain are lysine, asparagine and glutamine. Because of the long carbon chain at the side chain of lysine it would be too difficult to generate a well working aminoacyl‑tRNA synthetase for a novel amino acid consisting of lysine and a CBT‑derivative. To get an amino acid as small as possible containing a CBT-derivative at its side chain, asparagine and its derivative aspartic acid which contains a free carboxy group at its side chain were the best choices for an educt for the synthesis of a novel amino acid. As CBT-derivative we chose 6‑amino‑2‑cyanobenzothiazole (ACBT) which has a free amino group at its benzene ring (see Figure 3). Its free amino group ACBT requires an aspartic acid for the coupling reaction to synthesize the novel amino acid. Figure 3: Structure of ACBT. The amino group at the benzene ring can be used for the coupling reaction and the cyano group at the thiazole ring enables the condensation reaction. Due to the high price of ACBT, we synthesized it first on ourselves using 2‑chloro‑6‑nitrobenzothiazole (Cl-NBT) as educt. According to Hauser et al. (2016), we produced ACBT by the nucleophilic substitution of the chlorine atom with a cyano group and the reduction of the nitro group to an amino group. Figure 4 shows the schematic synthesis of ACBT with Cl‑NBT as the educt. Figure 4: Schematic synthesis of ACBT with Cl‑NBT as the educt. First, the chlorine atom of the Cl‑NBT is substituted with a cyano group (i) to give 6‑nitrobenzothiazole‑2‑carbonitrile (NBT‑CN). The second step is the reduction of the nitro group of NBT‑CN to an amino group (ii) resulting in ACBT. With ACBT and N‑Fmoc‑aspartic acid‑OAllyl ester we could synthesize the novel amino acid CBT‑asparagine. Figure 5 and 6 show the two steps of the synthesis. Figure 5: Schematic coupling reaction of ACBT and N‑Fmoc‑aspartic acid‑OAllyl ester. Due to the protecting groups, only the carboxy group of N‑Fmoc‑aspartic acid‑OAllyl ester can react with the amino group of ACBT. Using isobutyl chloroformate and 4‑methylmorpholine enables the coupling reaction. Figure 6: Deprotection of N‑Fmoc‑CBT‑asparagine‑OAllyl ester. By adding 3x the equivalent of morpholine to the protected N‑Fmoc‑CBT‑asparagine‑OAllyl ester, we could directly remove both protecting groups resulting in the free form of the novel amino acid CBT-asparagine. With the novel amino acid CBT‑asparagine and the CL we provide a new way of rapid highly specific binding of peptides and enzymes under physiological conditions. First in vitro tests show that the condensation reaction between CBT‑asparagine and CL (see Figure 7) takes place. Figure 7: Schematic condensation reaction of CL and CBT‑asparagine. The natural condensation reaction of 1,2‑aminothiols and 6‑hydroxybenzothiazole‑2‑carbonitrile provides a new way to produce fusion proteins and polymer peptides by binding both amino acids. Additionally, we generated several new aminoacyl‑tRNA synthetases based on the tyrosyl‑tRNA synthetase of Methanococcus jannaschii using the protein design software ROSETTA. Preliminary tests indicate that the modeled synthetases K2201300, K2201301, and K2201302 are able to incorporate CBT‑asparagine (for further information visit our modeling page). Further tests are needed to evluate these results. Following figure shows CBT‑asparagine in the binding site of the synthetase K2201300 (Figure 8). Figure 8: CBT-asparagine in the binding site of K2201300. We provide a new way to produce fusion proteins and polymerized peptides using the terminus independent, rapid and highly specific binding ability of CL and the novel amino acid CBT‑asparagine. With this method, it is possible to fuse peptides and enzymes using an environmentally friendly condensation reaction which is inspired by natural systems. Hauser, J.R., Beard, H.A., Bayana, M.E., Jolley, K.E., Warriner, S.L., and Bon, R.S. (2016). Economical and scalable synthesis of 6-amino-2-cyanobenzothiazole. Beilstein J. Org. Chem. 12: 2019–2025. Liang, G., Ren, H., and Rao, J. (2010). A biocompatible condensation reaction for controlled assembly of nanostructures in living cells. Nat. Chem. 2: 54–60. Nguyen, D.P., Elliott, T., Holt, M., Muir, T.W., and Chin, J.W. (2011). Genetically Encoded 1,2-Aminothiols Facilitate Rapid and Site-Specific Protein Labeling via a Bio-orthogonal Cyanobenzothiazole Condensation. J. Am. Chem. Soc. 133: 11418–11421.